I cannot remain silent about so many inaccuracies that have been said in this dialogue table. While it is said that the project will not affect county areas, while in fact they will affect their lifestyle, food, crops, farmland, homes, churches, holy places of worship, petroglyphs, and cemeteries because it is a Ngäbe custom of burying their dead close to their homes in order to have them always nearby. I remember the shock my article created "The CDM Project Barro Blanco: an obstacle to peace" published abroad in April 2012 when I gave Google Earth coordinates (coordinates 8.248044, -81.615833) of the Petroglyphs of Kiabda. Then we saw helicopters overflying on August 2012 the community of Kiabda, to spot the petroglyphs, even flying low, ripping off roof panels. Damaging fruit trees and damaging the corn harvest of a poor man, trying to land, he was forced to give away his crop before losing it. We have pictures and documentation of the events. I know you would not fly over coffee plantations of rich people of Boquete, unless being held accountable to a million-dollar lawsuit. This was in August 2012, one month prior to the visit of the affected areas of the comarca for the famous field verification sponsored by UNDP in September 2012 and who would be faced with outright rejection in every home to your project, Nagare to Barro Blanco. 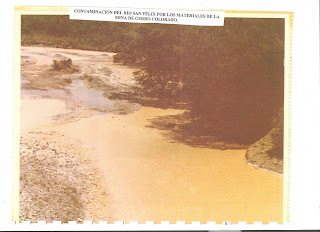 Sure you would say your structures are outside the comarca, but its reservoir reaches well into the comarca and beyond to the junction of the Rio Cuvíbora with Tabasará in Calabacito and Bramona areas. 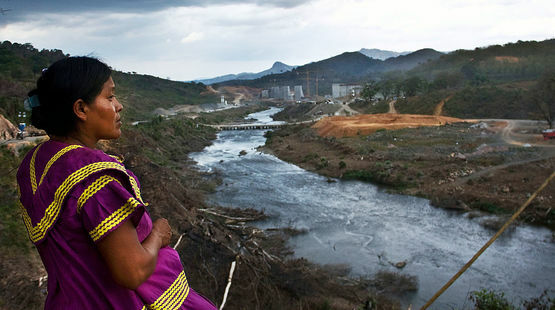 In the same manner I can build a thousand hydroelectric plants and continue flooding the Comarca Region. As we told the Distinguished Provincial Director of ANAM Don Harmodio Cerrud in 2011 "it is the same thing if I'm in my house and break the neighbor’s window". He then told me that this was not a case that he could attend to personally and sent the file to Panama. Then we heard a short time after he had resigned his post. But there is also the definition of the US Federal Energy Regulatory Commission FERC http://goo.gl/XGKPm0, "project boundary is all that is used for generating, from the water supply, reservoir, including water rights, powerhouse, discharge, up to the transmission line that connects to the central network. "So under this definition the project boundary encompasses all the way to the comarca and their consultation had to be held there too. Now you will say that these rules apply only in the United States, but they are universally accepted rules and the norm in most countries. 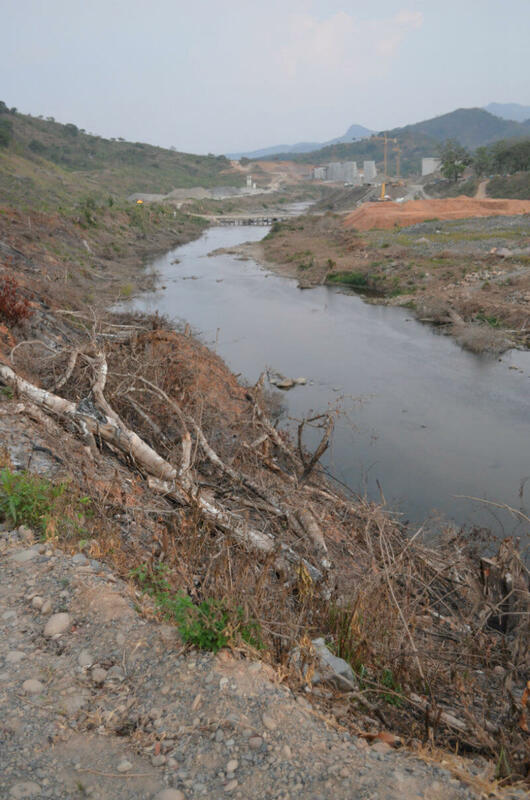 Compared to other projects Barro Blanco has a very poor design 258.67 hectares of reservoir with high social and environmental cost to generate only 28 MW. 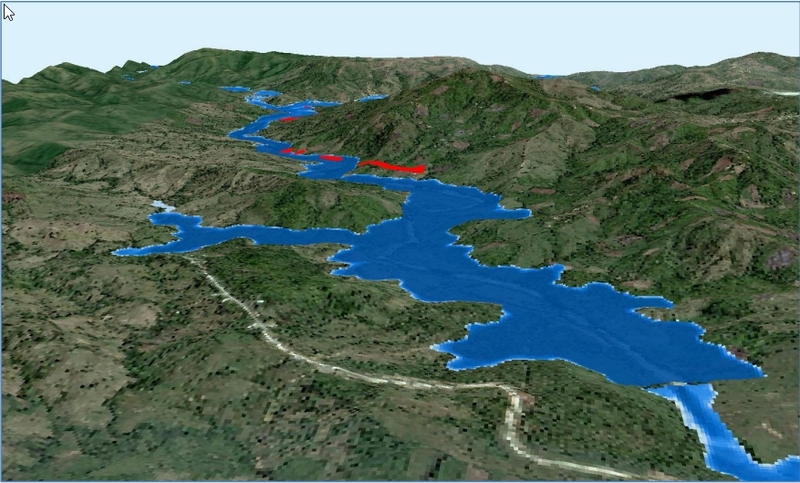 Example Estí with its Barrigón reservoir of 278 hectares produces 120 MW. Fortuna also with a crest less than Barro Blanco of just 40 meters produces 300MW. I believe that the state does not need companies to come to "practice" with our valuable rivers and watersheds of the country. No need for such gross and grotesque logging, with high animal mortality. Where is the famous "animal rescue" of their EIA? Where there was once a lush Tabasará gallery forest, with its large uptake of CO2. Grim event simply to qualify for the coveted "carbon credits" which have nothing clean and which are left with 80% and the rest are shared as crumbs among their "chosen". For those who do not know what “carbon credits” are, they are credits that polluters in the EU pay supposedly "clean" projects in the Third World to achieve the objectives of the Kyoto Protocol to reduce CO2 pollution and curb climate change. Did you know that the European Union main sponsor of carbon credits is no longer certifying questionable projects as Barro Blanco? 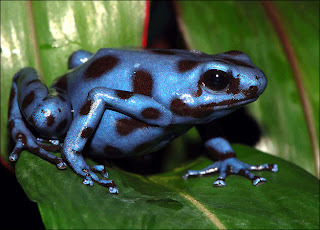 Only those who prove to be generated with clean water, true “run of the river”, without reservoirs, without "eutrophic" waters (dead waters without oxygen) without ponds of organic material, branches and sediment that inevitably fall into the reservoir and constantly produce methane, a greenhouse gas 20 times more harmful than CO2 and are produced in tropical reservoirs. So it really surprised me how the the evaluators have certified you, it seems they did not do their homework. Moreover AENOR or the Spanish Agency for Standardization is being careful not to certify any other project before they perform a thorough analysis after the repercussions which Barro Blanco have produced them. They have even rejected some projects after our objections and of our allied groups. So that they will not encounter the same fate as the British consultancy SGS which was suspended from the select group of validators of the CDM after establishing arrangements with generating companies. Returning to the issue, we cannot ignore what was said by their spokesman the other day when he said "the project 'just' touched the comarca" and that "will not even reach 103 meters." When we all know that this data will never rest in any EIA and was given for a project for 19.99 MW, which had 103 meters as the maximum and a minimum level of 98.8 meters. The design change was granted by a simple "amending resolution" which increases the capacity of 19.99 MW to 28.84 MW while increasing the height of the dam 42metros to 61.09 meters above the base. Absent are the details of the new reservoir area of 258.67 hectares, from 234.34 hectares - and maximum elevation of 103msnm to 108.25msnm. And how have we come to know these "hidden" details if they are not in any EIA in ANAM? Simple as good internet surfers we entered the massive page of CDM in charge of handling thousands of CDM projects around the world. Fortunately we accessed to requests made in their own fist and letter of the company, but in English, everything is handled in English in the CDM. We accessed to the application (or PDD) for Barro Blanco 19.99 MW Version 03.1 of 23 August 2008 and then to 28.84 MW Version 03.3 of June 12, 2009 and there were all reliable details that the company had omitted in its EIA but this time for 28.84 MW. But then there was no need for a new EIA according to the Supreme Court? But how is justice turned upside down in this country? There it declares that the normal operating level will be 103 meters, but its maximum flood level will be 108.25 meters. For the same reason the experts in charge of the Independent Expertise recommended that 106 m or 107 m be used as "baseline" for computations. We all know that at that height not only the 6 houses in Kiabda will be submerged, but the entire Kiabda, besides affecting many homes in New Palomar and even the Basic School of Meduca which is on the banks of the River. That it will be said, well, we're sorry, it was not calculated and they would place this grave responsibility of relocation to the Panamanian State. This is not just negligence, it is criminal and only due to this fact its concession should be revoked. Remember that the company already has a criminal complaint against them. Even if the ANAM had their trousers - or rather their skirts well placed, long live women; and being the ANAM the respective "Designated National Authority" before the CDM, and in view of the clear human rights abuses it should "de-certify" immediately the project before the CDM and the United Nations. Herein it is only applicable a precautionary measure by the government to avoid further damage and disruption and for all the illegalities viewed and identified in the project including formal revocation of concession and final cancellation. Of course to promote such a monstrosity they need the best promoters and vendors. I remember some unscrupulous shoes vendors. Which would not have the right size and in order to sell a pair of shoes to the poor Indian, they will say "do not worry brother, this stretches" and meanwhile the poor guy is walking with blisters all day long. Gentlemen do not fall into the same error, at least I would not wear those shoes and I hope you won't either.